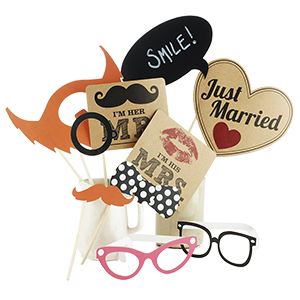 Help create some fabulous, fun, photo booth memories with these quirky kits with vintage party props ! Your guests will have an amazing time............make sure that you 'get a go' too! There's always a queue for the photo booth at a great wedding or party! 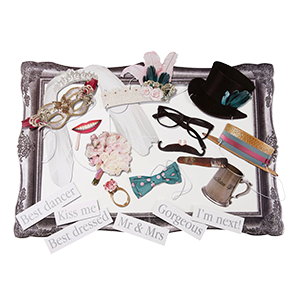 Have fun and create special mementos with some party and wedding themed photo booth props!